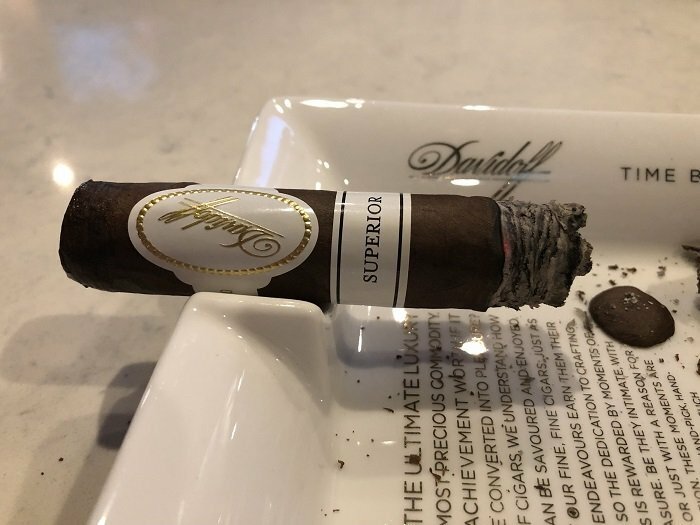 The Davidoff Superior is incredibly dark in appearance and it has a nice Maduro with touches of Colorado Maduro coloring. There are few veins on the wrapper and it has a nice firmness. There are some oils on the wrapper and it had a slight rough texture. There was an aroma of soft spices, wood and manure on the foot and the wrapper gave off cocoa, leather and barnyard qualities. The first third opens up by delivering some nice spice and wood qualities. There are some leather aspects present as well and it has this coffee and soft sweetness present on the finish. With that, the cigar smokes at a medium-full level for strength and body. 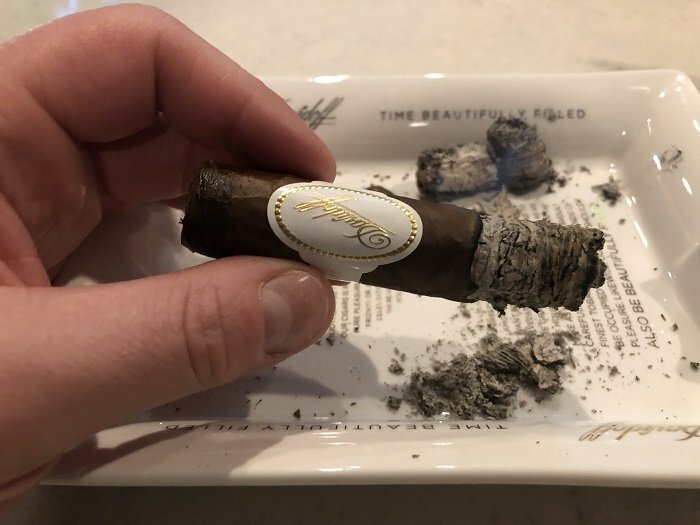 When I get into the second third of the cigar, I find the profile to be fairly similar to that of the first. There are some spice and wood notes present and with that is some smokiness, sweet tobacco and leather. There is a finish of sweet pepper and like before, it is smoking at a medium-full level in strength and body. 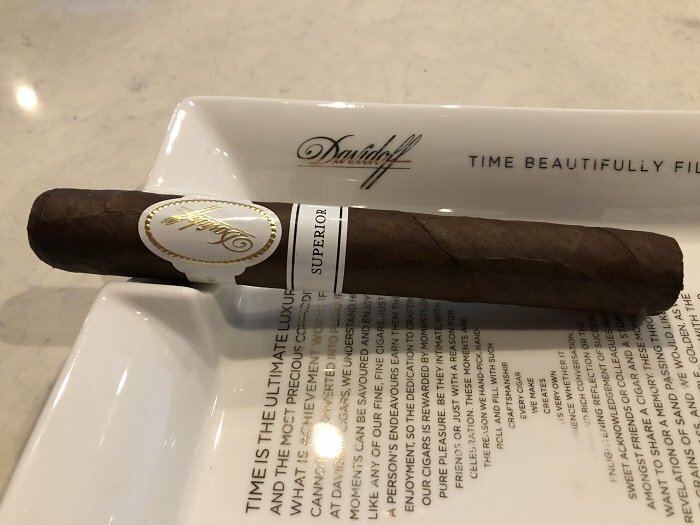 I am in the final third now and finding the cigar to really pick up with flavors offered and delivered. It is creamy with some cocoa powder qualities up front, and there is a finish of earth and cafe mocha. It is flavorful and balanced with a nice bit of depth. It has a great finish and smokes at a medium level in strength and body. The burn on the Superior was decent from start to finish. It never presented any problems or needed any touch-ups, but it did produce a slightly wavy burn line here and there throughout. With that, the ash held on well and it sported a nice dark charcoal coloring. The draw on the Superior was perfect having a slight snug to it, and it smoked cool from start to finish. 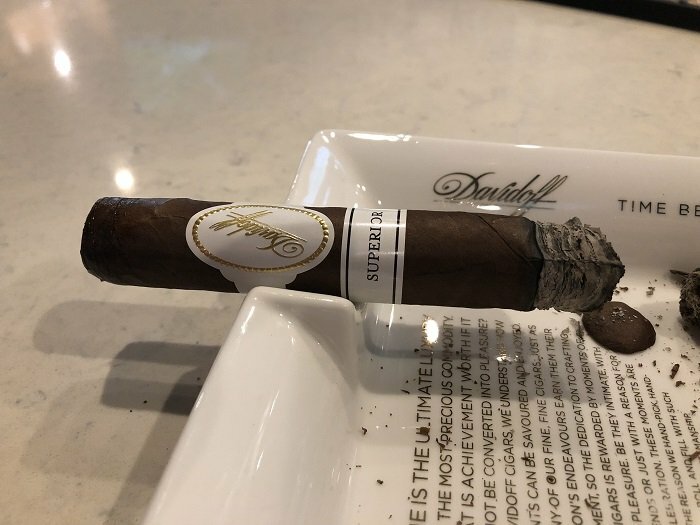 The Davidoff Superior is a good cigar, but I really wish the flavor profile present in the final third was present throughout. If it was, the cigar could take on that Superior title. It grew in complexity and depth of flavors from start to finish, but it really could have used a little more up front. The improvements in each third were noted, but as I just said, not enough at the beginning. 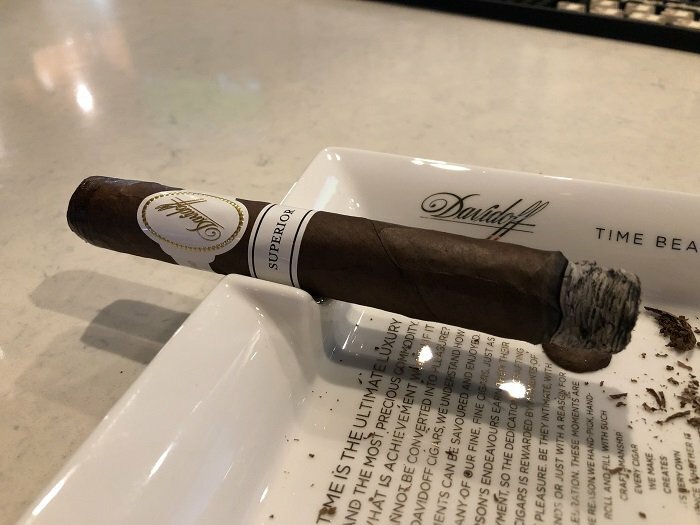 It was a darker profile than a lot of the other Vault offerings from Davidoff and I didn’t find it to be as solid as the other Vault releases I have had. I think it will be well received by some, but for those that are looking for a bit more complexity and lighter, more complex flavors will find it underwhelming.